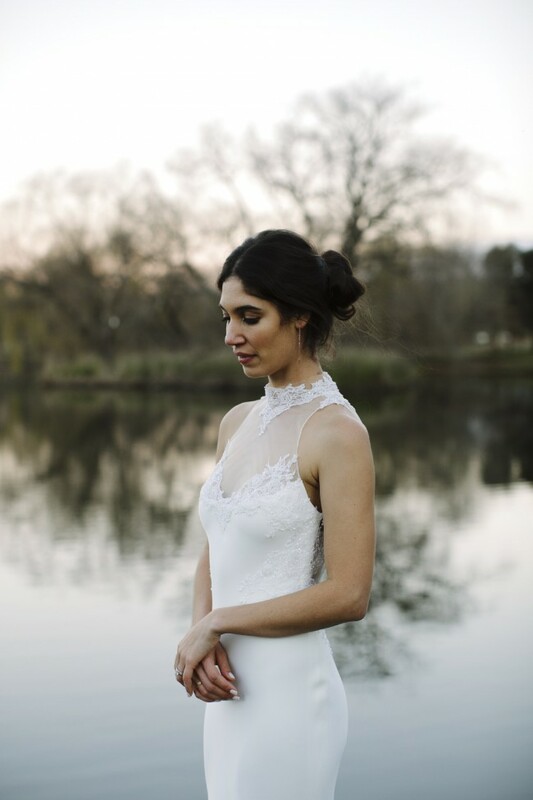 The Dan Jones "Jerry" gown has twinkling glass beads encrusted over delicate lace, frosted over an eye-catching illusion neckline and growing around the waistline, shaping into a deep sculptured open back. The dress is a size 8 (altered to my size), I am 175cm tall, and wore 10cm heels. Made from bias-cut heavy weight silk crêpe, it falls beautifully from the hips and is incredibly light. It was the most comfortable dress to wear from day to night, and has the option of a wedding bustle clip or loop, so the train can be easily lifted for dancing at your reception. The dress has been professionally dry cleaned and is in good condition.